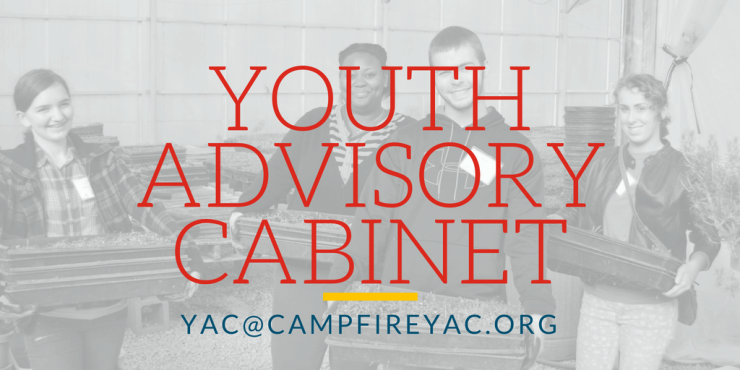 Camp Fire doesn’t just serve young people, it’s led by them. 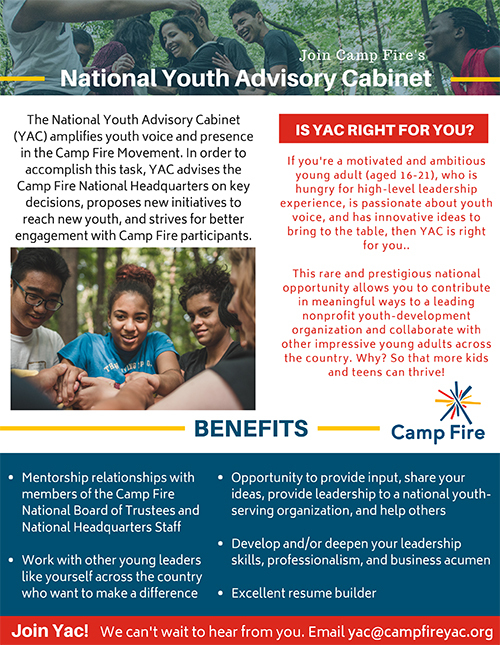 The National Youth Advisory Cabinet (YAC) is a group of passionate high school and college students who help Camp Fire thrive. Youth advisors come from all over the country and contribute to Camp Fire in all kinds of ways, including providing feedback on important decisions, spearheading new youth initiatives, and leading the youth track at Camp Fire’s leadership conference. These competitive positions are held for two years and open to all service-minded 16-to-21-year-olds, regardless of previous Camp Fire experience. Applications are open now through September 30!